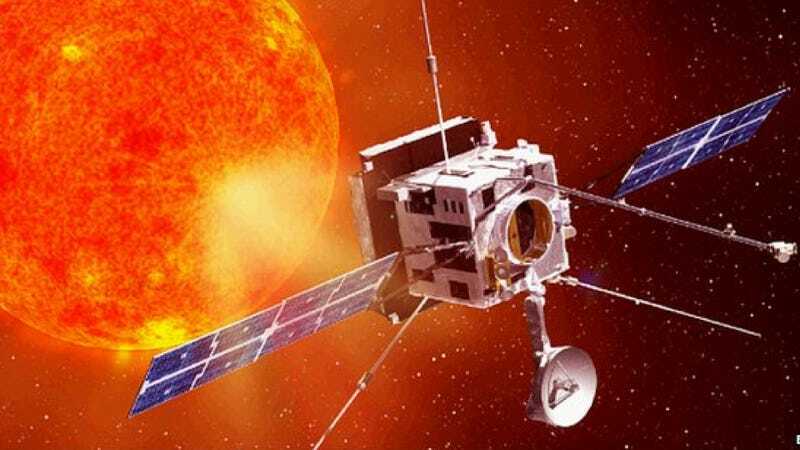 What costs a billion euros, can operate in temperatures in excess of 500 degrees celsius, and orbits the sun closer than any spacecraft in human history? Well, nothing yet. But in 2017 it'll be the European Space Agency's aptly-named "Solar Orbiter." The orbiter's diplomatic information-gathering mission to the Sun was formally adopted by ESA member states yesterday. Solar Orbiter will be able to glimpse some unprecedented views of the Sun's poles, as well as its farside, but its true purpose lies in measuring its energetic particles and magnetic fields. It's about getting close and joining up what happens on the Sun with what happens in space. The solar wind and coronal mass ejections - these big releases of material coming off the Sun; we don't know precisely where they're coming from, and precisely how they're generated. Solar Orbiter can help us understand that. ESA's Solar Orbiter is scheduled to launch in 2017, and while its closest passes to our nearest star will certainly be impressive (orbiting at a distance as close as 48 solar radii, or about 21-million miles), NASA's Solar Probe Plus — scheduled for a 2018 launch — will actually break the Sun's upper atmosphere, coming within just 8.5 solar radii (~3.67-million miles) of the sun's blazing surface.